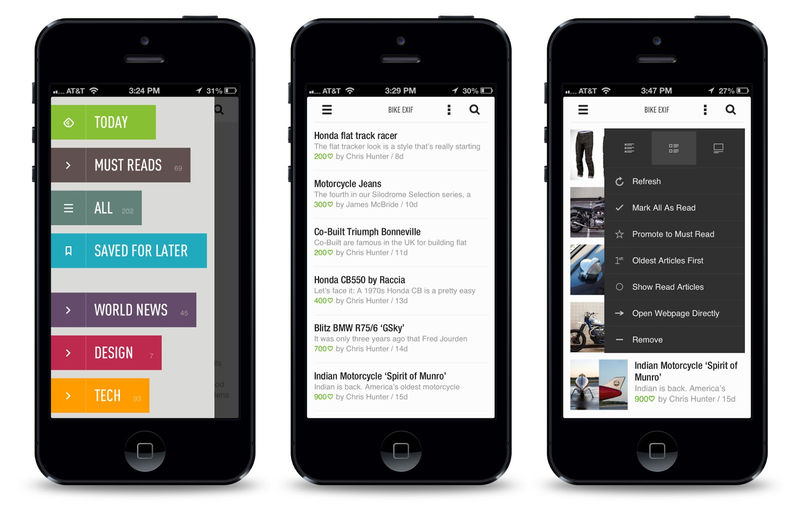 Feedly gets 3 million users in just 2 weeks! Feedly has received 3 million new users following the announcement of the closure of Google Reader; that too only within 2 weeks. A number really unbelievable! And as the startup does not keep both feet in the same shoe, it advances its application continuously. 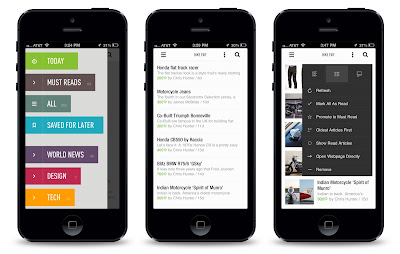 For proof, Feedly today announced a new version of its RSS aggregator for mobile / tablet and computer. The first visible change when it connects to the player via Desktop is the automatic expansion of the play area to the entire screen. -An advanced search engine, faster and allows auto completion and displaying the results (with related tags) in real time as and when you type the keywords. Content discovery is (besides our RSS feed added) among the 50 million streams identified by the aggregator. A file-"Must Reads" which allows you never miss the most important items among the feeds that matter most. You must go to each feed are considered important Must Reads check the box and the file will appear at the top left, just below "Today" and before "All". See the overview screen Smartphone below: To refresh the content on your phone in 1 second, Feedly has added a "Pull to refresh". Always mobile, the new default view (my favorite) is the one that shows only the Securities News (can scan faster news a glance). Buttons-sharing and backup: they are numerous and really take time to practice on Feedly. In one click, you can send an article about Twitter, Facebook, Google +, the email or any application available on your phone, in Pocket (to read later) or saved items of Feedly (File "Saved for Later") in Buffer (to post later), copy the link of the post in the clipboard, etc. About its business model now, according to Techcrunch, Feedly will opt for the Freemium: free for everyone and paying for users who want to have more options, such as Dropbox and Evernote integration in particular, but also access to newspapers usually Pay by subscription. Charging is quite healthy and will reassure the sustainability of the service in the long term. For RSS readers have top but not sure they will succeed to survive in six months, it's not looking that most aggregators users. Acer Liquid E 1 Android Smartphone! iTunes Store and its growth in last ten years! Facebook redesigned its Mobile pages! The Linux kernel version 3.9 available! Sony Cybershot HX 50 with Wi-Fi and High Zoom! Wii U’s latest E 3.0.0 firmware is available ! Google Adsense in Super leader board! WhatsApp Messenger app has 200 million users! Google Glass is nearing Completion! Twitter Music is ready now! Microsoft removes a patch that failed! Why are Smartphone Sales Overtaking PC Sales? Windows Phone 8 will be Full HD screens soon! How Did We Communicate Before Phone Service? Facebook Home for Android and Smartphones! Firefox version 20 with full of innovations! Amazon Kindle Phone with 4.7-inch screen!